I can’t even say that “they” flopped, because only one ever made it into the public’s’ hands. Book One, then simply called “Echoes of Light” did not sell even remotely as I hoped it would. When it became apparent to me that my lackluster promotional strategy with launching my work was simply never going to reach the audience that I wanted it to, I decided against continuing the futile endeavor. There was no hope to salvage the individual releases that I was initially sure could take off on Amazon and Amazon Kindle. My first “Plan B” was to combine all three novels into one great omnibus and self-publish that. 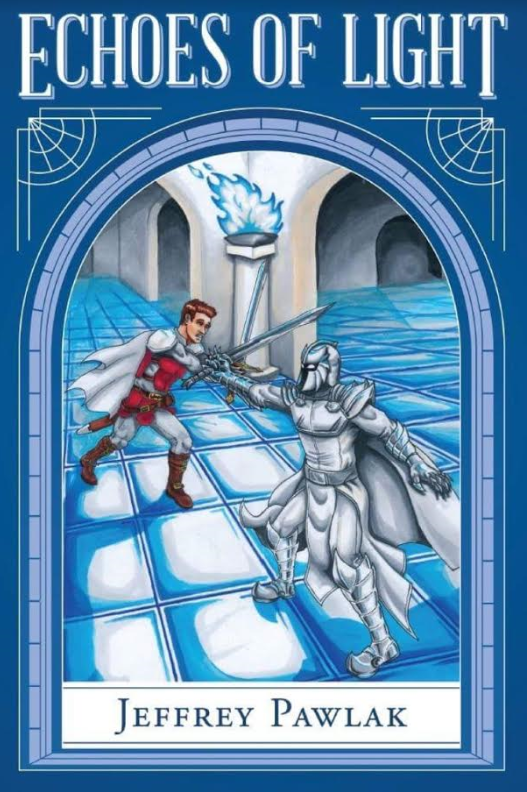 I commissioned all new art from the artist Pam Hage (who would later go on to do the covers for the entire series) to serve as the cover, effectively hoping to rebrand The Legend of Light as one great epic instead of a trilogy. “The whole story in one purchase. No threat of consumers unsure about diving into a multi-book series they’re unfamiliar with” — that was the way I looked at it. Thinking back, however, I question if even that would have garnered such better results. The significantly-improved art, aside, I still didn’t have a plan in place to get eyes on the book beyond the perfunctory act of placing it on Amazon. At least, until the good folks at The Geekiverse came along. When they decided to take on The Legend of Light to publish with their imprint, 4 Gates Publishing, it got the ball rolling for me to one day release a dramatically better story, and an infinitely better means of releasing it. Working with The Geekiverse, specifically, my good friend, former teacher, and all-around literature mentor, Peter Herr, instilled the value of patience into me. When I tried to self-publish The Legend of Light, I was under the impression that I could do a simple read-through of the manuscript when I finished typing it, upload it to Amazon, and the purchases would simply start rolling in. It goes without saying that I was very wrong. What I didn’t realize as a young, overeager author was that writing the story is only the first of many steps in making an appealing, successful novel. Peter Herr has always had a saying that goes “Good covers sell books”, and he’s absolutely right. It requires far less time and effort to get an impression of a book simply by taking a glance at its cover than it does to read through an extensive amount of its manuscript. As a species, we’re drawn to alluring visuals much more than we are intriguing ideas. With that being the case, a good book needs more than just satisfactory cover art. Even good art, like what I would say the original version of The Echoes of Light had, won’t necessarily cut it. You need great art to attract eyes, and I only feel like I got that once I commissioned Pam Hage to illustrate the artwork for all three books in the series. Her work was done to suit both digital and physical perspectives, to maintain its quality even mass printed. Another key step to the production of a truly good novel is the proofing process, and that has to include more than just your own set of eyes. The more proofreaders you have, the better. If there was one thing I learned during the months where The Echoes of Light was being edited, it’s that you’re going to miss an incredible amount of typos, misspellings, and other goofs reading your own work. Even the most attentive, laser-focused reader won’t catch each and every last mistake in a 350-page, 100,000+ word manuscript. That kind of book needs a team to clean up. Thankfully, publishing with The Geekiverse helped me gather a few different proofreaders, all of which helped immensely with getting the final manuscript as polished as it is, now. Having different people proof the manuscript also gave The Echoes of Light the opportunity to be viewed from varying perspectives. As I eventually learned, proofing isn’t simply searching for spelling mistakes and improper grammar–it’s also about finding questionable narrative decisions, and language that just doesn’t sound right. When you have multiple people reading your writing in their own, unique voices, someone will likely find a sentence or piece of dialogue that sounds awkward, which I, as the writer, thought sounded a lot better in my head. I would catch some of those on my own, as well, especially once I got a physical copy of the book in my hands which was intended to be my “mark up copy”. That was the one I took a red pen to as I read through it; no matter how many times I read the story on my computer screen, there were certain things that I only caught once I held the book in my hands, and read printed words on a page. The most important lesson that I learned from collaborating with The Geekiverse, however, was the value of marketing. 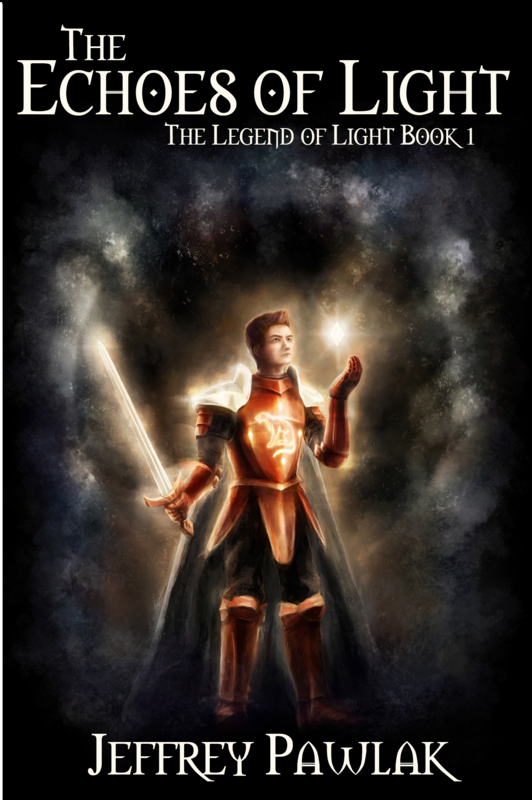 At 23 years old, I didn’t know a thing about how to promote The Legend of Light as I attempted to self-publish it; at 27 years old, I admittedly still don’t quite know the ins and outs of effective marketing. Having The Geekiverse platform has been an incredible benefit, allowing me to reach audiences that I never would have been able to on my own. They’ve posted the first five chapters of the book on their website as an extended sort of sneak peek, in addition to various other articles and interviews to hype the trilogy. Releasing the physical book at Buffalo, New York’s premier pop culture convention, Nickel City Con, was the perfect way to debut The Echoes of Light. We sold every copy we brought with us, and gained a number of fans whose attention we were able to catch through the setup at our booth as they walked by. Again, that’s something I couldn’t have accomplished on my own. I’m confident that the mantra can be applied to any product you’re trying to sell. When there are countless other books available for people around the world to read, you need to make your book stand out. You have to grab people’s’ attention. With The Legend of Light, my partner Peter Herr suggested early on that I make a Facebook page dedicated to the series, offering exclusive artwork, articles, and other behind the scenes details in order to get people interested in the books before they even released. That Facebook page has been a big success, thus far, and an Instagram account for The Legend of Light is slowly coming together. And I haven’t even scratched the surface of what I hope to do. As fulfilling as the launch for The Echoes of Light has been thus far, it’s only step one. There’s two more books, and lot of work left to do with this trilogy. I can’t wait for the day when all three books are in print, but unlike years ago, I’m ready to tackle every last bit of work that is required for them to realize their potential. Book One in The Legend of Light, The Echoes of Light, is now available on Amazon in paperback format, and on all Kindle devices. Book Two in the trilogy, A Gleaming Path, will release in late 2018, targeting an October or November date. Book Three, A Radiant Fate, should launch around May of 2019. Thank you, Charles! I look forward to the meeting, as well.